Twin Flames are described as a soul that has divided into two identical equal and balancing parts, evolving separately to incarnate over and over, until achieving pure unconditional love. Usually one twin soul stays in spirit to guard and guide the other through each lifetime. Only in their final lifetime on earth, do they both incarnate at the same time and actually meet in real life to be together. When you meet your twin flame it is like no other relationship. It is as though you have found someone you have searched for all your life. You feel a deep connection with your twin flame on so many levels, and are instantly inseparable. We believe we all have a twin flame out there. Our twin flames album to accompany our book. A collection of prayers to heaven. What would that be I wonder? You look at me and I am spellbound inside the mystery - inside my favourite place again, where my heart quickens to the rhythm of the primal dance. Each time is like the first time, as waves of euphoria on an ocean of sighs fuse into the sultry tango of each other’s eyes. When we first connected as twin flames, Claire was living On the Gold Coast and I was living in Sydney, in different states, and around a 1,000 kilometres apart. Claire and I were sitting on a train, unlike any train I had ever seen before. It had lime green hard seats and a cream coloured plain inner décor. The outside of it was dark blue metallic, with a light blue stripe, black windows and was of a futuristic design. I have always believed in miracles and in the handiwork of someone else far greater than I in granting them, yet I never knew until I called one up for my son Rick, that there was another element besides believing in it being granted that had to happen also. Federico Fellini was a multi-Academy Award Winning Italian director and Giulietta Masina became his famed Italian actress wife and partner in life. Fellini once said "I was born the day I saw Giulietta for the first time". This is one of the most amazing experiences we’ve had. At first, we found it hard to believe, but only after experiencing it a number of times did we come to accept it, whatever it may be. It is definitely not our imagination. I look at the news and see wars, with humans killing other humans. The clamour for power, for control, and the lengths some people, governments, corporations will go to just sickening. We get asked about this so often, and it is a delicate one to answer. Notice the 'he', that's because it's usually females asking this question, not always, we have had males ask as well, but by far the vast majority are female. Throughout my life, I have experienced many synchronicities with people, but usually only with those that I am very close to. In the beginning, it was kind of uncanny and I used to put it down to being just a coincidence at the time. Yet I always believed that there was a magical golden chord connecting those who we truly Love. Many years ago I used to play computer games. Usually you would have to navigate an endless series of hazards to complete a level and there would be many levels, each having a whole new set of dangers. The utterly compelling motive would always simply be to get to the end of the last level. Have you ever stood there wondering what your partner is really thinking? Wondering why you`ve got that feeling, no, you know they aren`t telling you all that`s going on in their head? Or heart? Or with their soul? That`s `Duality`. So do animals have souls? A lot of people seems to think they do, but then the way I see a lot of people treat animals, clearly many don’t (in fact, they’re probably also the same people who have closed minds when it comes to people having souls). The story of how we got together could be enough to write a book about (in fact…we might). To try and remember everything that happened we archived much of our correspondence at the time: our earliest conversations, dozens of emails, 100s of texts, etc. So it is more a challenge of what to leave out. Isn’t it funny how what you may first think to be a blessing can turn out to be a curse and what you first think to be a curse may actually turn out to be a blessing? Best of all though, is as twins how we can turn something around and look at things a completely different way, turning fear into love. Saturday we went to the Awakening UFO 2017 conference in Manchester (UK). The Cantina Bar was awesome, as was the displays and speakers. We especially enjoyed seeing Linda Moulton-Howe in person give a 2 hour talk. We made sure we were on the front row and got to talk to her. Claire even gave her a CD of her music. Sometimes words are not enough, for they are from the mind alone. 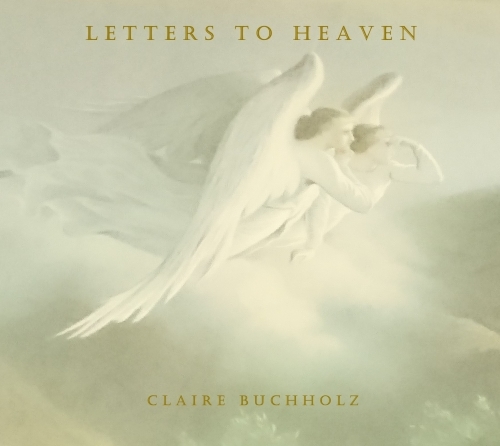 Thus, “Letters to Heaven” is a collection of prayers offered as an expression of music, which is the language of my heart instead. Waylands Smithy is located along The Ridgeway, Britains oldest road dating back at least 5,000 years. Waylands Smithy is at least 3950BC and sitting in its own little wood in the middle of fields and has an eerie atmosphere all of its own. Even though we'd read it is likely just a publicity stunt by Mothership Glass, it didn't really add up (e.g. Why? How would they arrange it? Who do you ring up to get a fake crop circle made? ), so we drove down yesterday and took a closer look. We have started writing and recording some music to go with our book. We've not published much on the site for a while as we've been busy focusing on finishing our book. It's the spiritual story of the dark times we both went through, and how we eventually met. Well we finally finished it, and self-published online. How can we have freedom without privacy? Without privacy we are not free. One of the early crop circles of the season. Seem to be a lot happening in Dorset this year. So we headed off after work and tracked it down, along narrow country lanes only really suitable for tractors, and then walked the rest of the way. Into the field we walked around the tram tracks and into the circle itself and took some pics and video. Some of the many megalithic sites in just one small area up on Dartmoor. Stone rows all very carefully constructed, stone circles, and standing stones scattered all across the area. Thousands of years old, they must have meant so much to ancient people to have gone to all the trouble it would have took to build them. A castle not far from us. It has an ominous feeling when you go inside. It was built over a 1000 years ago and used as a prison. You can just feel the dark energy from all the many 1000s of prisoners held in its dark cramped damp spaces. There are only 2 times a year the public can actually go inside the stones at Stonehenge: on the summer and winter solstices, and then, only for 2 hours. So we just had to go. I tracked down the crop circle at Monument Hill in Etchilhampton near Devizes. A long hike out across a few fields and it finally appeared. It was enormous. I looked around and decided I should take some video of walking around it. On a drive to Lands End we stumbled across another stone cirlce. Fully intact and only a short walk from the road. Picking wild flowers in a field in Widecombe In The Moor on Dartmoor. A Steam Train ride alongside the River Dart through Dartmoor. So I thought I saw a fairy and we followed her all the way. But I can`t see her now. I wonder if you can see her? Walking among the ponies of Fernworthy forest is like walking through a fairytale. The naughty lambs are out again, racing up and down the lanes until the farmer sends his dog to bring them back. It`s delightful to be around the fields during spring with all the new livestock being born. We finally found a home, a little cottage up on Dartmoor. Almost immediately we stumbled across Weeke Down Cross, looming up out of the undergrowth on a Dartmoor Hill. After bouncing around Premier Inns for weeks, looking for work, we decided to take some time out and go off the grid. We rented a cottage way up in Snowdonia in North Wales. The mystical Silbury Hill. The tallest prehistoric human-made mound in Europe. Legends abound as to it`s purpose, but no-one rally knows. Whatever it was, someone went to a lot of trouble to build it, so it must have been for a very important reason. It was awesome as it loomed at us out of landscape as we drove along the A4. The magical Glastonbury Tor. We climbed it on a bitterly cold day, steps covered with snow and ice near the top. A complete whiteout. So peaceful. So quiet. It`s like being on another planet. Today is really snowed. A blizzard. Overnight the whole landscape completely changed and everywhere was covered white. The muddy fields turned into soft fresh carpets of white foam. The sound is muffled. There is a stillness. “Do you want to go and see Bucks Palace”? Mark asked me one morning on our trip to London. Heading from Kings Lynn on to our next to our next temporary home, we took a detour through Woburn Abbey, which Mark knew well. As we drove through it finally started to snow. And it snowed and snowed. Big lumps of white softness floating down all around us. It was wonderful. All our lives weve both been mesmerised by space, the supernatural, the paranormal and the unexplained. We`ve spent lots of time reading, listening and watching about some of the many unexplained mysteries going on around us. It`s Fathers Day here today. One of the lead articles on the main news page of our local paper today is entitled "Dumped first wives take their revenge". It`s a story, by a woman, of how women are being ripped off by "cashed-up" ex-husbands and how they are getting dirty, both in and out of court, to get their share. A great choice for Fathers Day. We`ve added Our Wedding to share with you. Initially, we decided to run away and elope without telling anyone, but our children and best friends made us promise that we would share our day with them. We started the site just as a place to bounce ourselves, and and share with (hopefully) a few others with similar thoughts and experiences. We didn`t realise there would be as many visitors as there have been, and which are still growing, or the diversity from all over the world. We took off on the spur of the moment this weekend, and stayed at an incredibly romantic cabin, out deep in the rainforest above the Gold Coast at Springbrook. We`ve just got back from a wonderful 4 days away from it all, squeezed last minute in between jobs. We started a few around the web, but always forget to go to them when we want to just put something short down in writing quickly. So we`ve created here, now, and hope to add some thoughts and experiences that might add a little to our site.